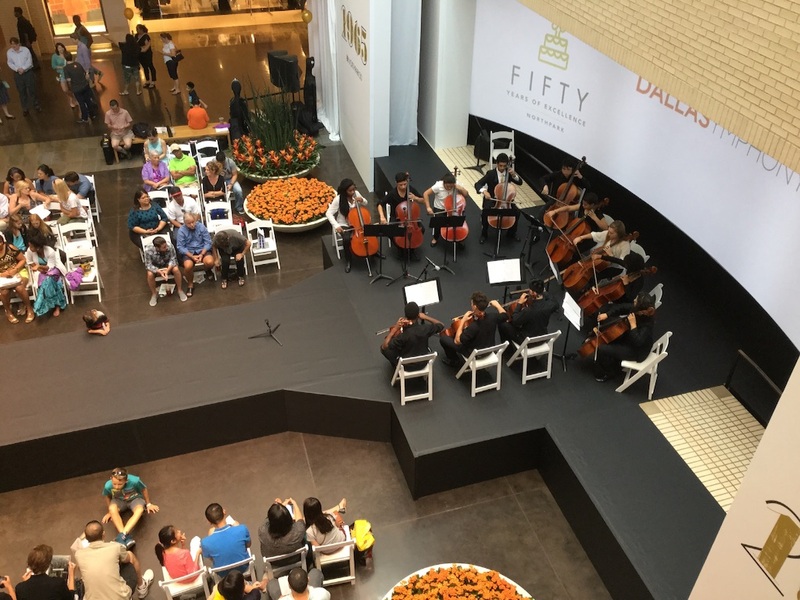 I saw the Dallas Symphony's cellists were playing something at North Park Center on last weekend. They seemed uncomfortable to play because the stage was too tight and there was another BGM. When I looked them from upper floor, I realized I might had met the lady who looked like reader of all. But I thought it was ridiculous, apparently I don't have any friend in Dallas symphony. After that, I went around the mall. When I came back to the stage, the performance had been over and players were about to go home. Wow, I absolutely figured out the lady was the person whom I had met on June Jam!! June Jam was like ensemble party. Music players gathered and enjoyed some ensemble pieces. I couldn't forget the cellist who I had played with strings quartet twice in that day, because she was not only so good player, but also very good at ensemble. Is she Dallas Symphony Orchestra's member? I'm not sure, but she may have connection with DSO. Her cello case was very unique, so I figured her out. I think unique case is good to remind people of the person. I regret not having gotten her autograph.